Preheat the oven to 400°. 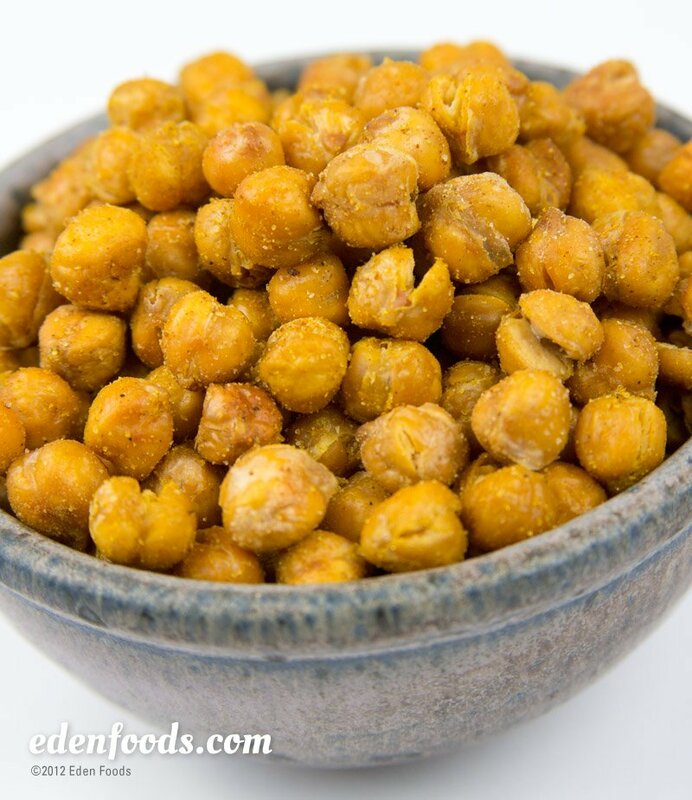 Place the garbanzo on a paper towel lined tray and pat dry to remove water from rinsing. Pick out any loose bean skins and discard. When dry, place the beans on a large baking sheet, drizzle oil over and mix to evenly coat. Place in the oven and bake for about 40 minutes or until golden brown, mixing periodically to evenly roast. When done, the beans should be crunchy not be soft to the bite. Remove from the oven. Combine the salt, garlic powder and cumin and stir to evenly mix. Sprinkle the mixture over the beans and toss to evenly coat. They are now ready to eat. Variation: instead of garlic and cumin, try other spice combinations such as spicy Cajun or Creole, or curry spices.